Have you ever felt like you wanted a second chance? You know when you find a super special recipe and decide to take on the challenge because it's your best friend's birthday and you know he/she loves cake SO MUCH? This isn't your typical cake, it's a multiple days affair. But you really want to get it right, because it's for a special occasion. So 3 days ahead of time, you fully dedicate yourself to that cake. You buy all the ingredients, read the recipe at least 4 times and start with the first step. The next day, you keep going with the other step. For 3 days, basically all you do is mix, wait, bake, cool, mix something else, wait a little more, let it rise, let it fall, let it cool, bake it, poke it, smell it, etc. It's quite the process, but you've been following the recipe to the degree, to the second, to the 0.1 of a gram. Birthday finally arrives. It's C day! Cake day! At last. You bake it, wait, and finally, serve it with its candles and the birthday song. You are excited. Your friend seems so happy. You cut the cake, serve it, take a bite... The first taste seems promising. You finally swallow. It’s a good cake. But it’s missing a little something. There is no spark, no particularly amazing or special taste. It is just an okay cake and it's kind of dry. Disappointed is not quite the emotion you are feeling. You’re still happy you are there with your friend, happy to finally taste that damn cake. But you are definitely not thrilled. All you can think is: What the F*** went wrong? Perhaps, puzzled is the predominant emotion you are feeling. You kind of feel like you could try again, because you know it could be much better and it seems like you did everything right. Why doesn't it taste better? Where did I mess up? Well, that’s a little bit how I feel about my race at the World Championships. Except that the preparation lasted a lot longer than 3 days and it involved a lot more people and a lot more ressources than making a cake. My first reaction was to ask myself: "What happened?" I wasn't too sure and I kind of wished I could do it again…Maybe then I wouldn't make as many stupid mistakes? But obviously that is not possible. I feel like the preparation we did coming into the race was really good. My fitness was good, I felt great on the bike and on the course during the week, and most importantly, my mindset was really positive and focused. I had an amazing start, my legs were feeling good, I made some good passes and found myself in 4th. At that point, I was calm. But I was not riding well and I was making a lot of mistakes. 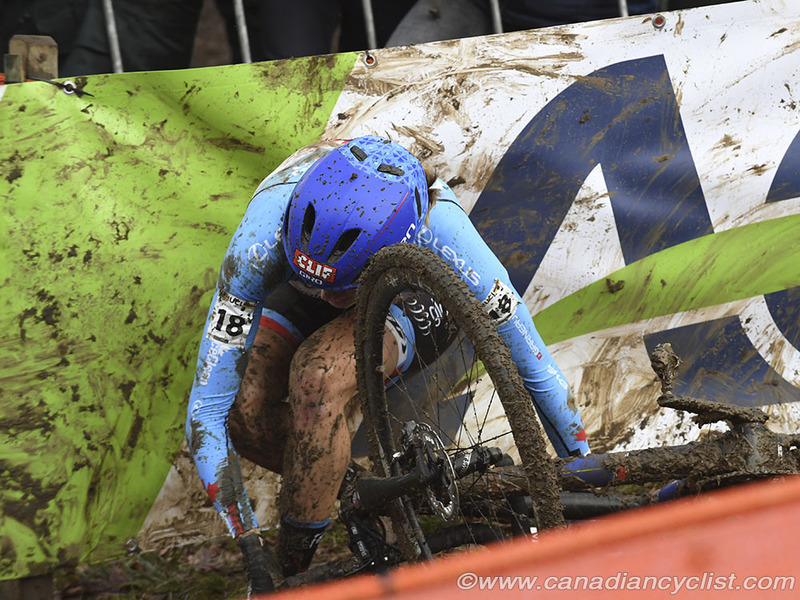 Throughout the race, I never quite figured out how to ride the course correctly or how to be efficient on it. I was either trying too hard, or being too tentative. I was running when I should’ve been riding and was trying to ride when maybe I should’ve been running. At some point, I wasn't that calm anymore and that was not helping me make better decisions. The course was brutal, but it was still really fun to try to figure out. And although I am not happy about my race, I am somehow not devastated either. I’ve been devastated about bad races before, but this time feels different. 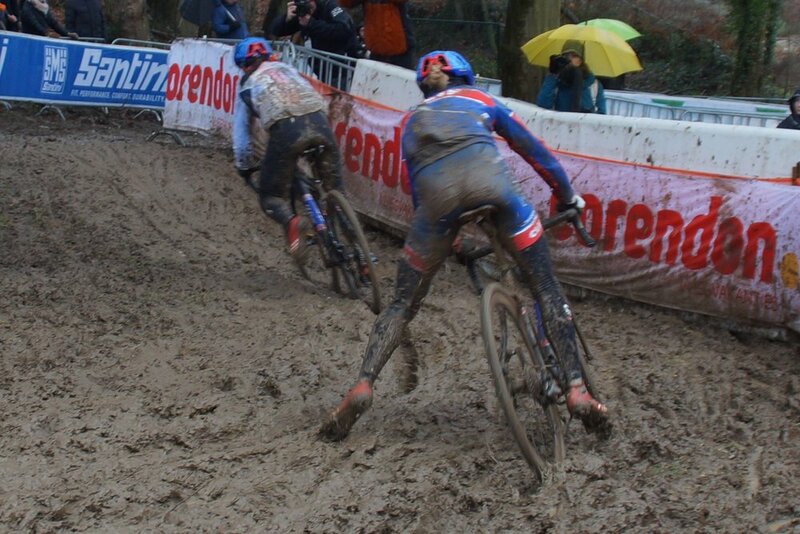 It’s not like I wasn’t trying; I just wasn’t good enough on that day, on that course, in those conditions. I just feel like I came up short and I so wish I could have another shot and try again. I guess that’s the whole point about the World Championships, though. There is no second chance. 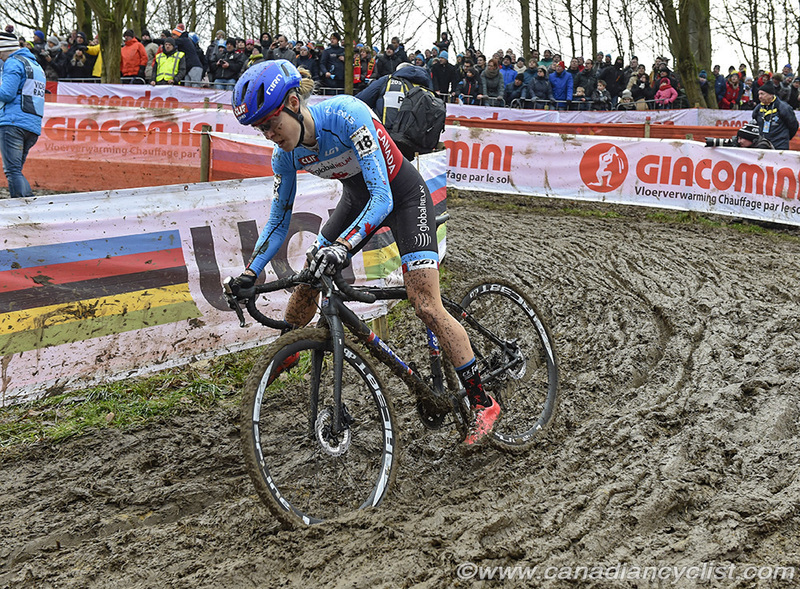 This race comes once a year and it is the biggest, most important, most prestigious of all (except maybe for the Olympics, but that doesn’t exist in cyclocross). At worlds, everyone has the same goal. We all want to win. So everybody shows up with their most complete tool case, their best preparation, their energy tanks filled to the fullest, and their greatest hopes. We all fight for the same thing and only 1 person comes out on top. And I guess that’s the beauty of it all. It’s okay that there isn’t a second chance, because it wouldn’t be as special. It’s also probably the reason why I love World Championships so much and why I always feel so grateful to be a part of it. Last year I had a great race at Worlds and finished 5th. People ask me if that result affected me, coming into the Worlds this time around. The answer is that it did and it didn’t. It gave me the confidence to believe that I can be up there battling with the best in the world. But did it give me expectations? No. I wasn’t thinking about any of that before the race on Saturday. Finishing 5th at Worlds is something I achieved last year, and no matter what happened this weekend, it wouldn’t change anything to the fact that I have achieved it. I was never trying to repeat something I have done before. Each race is new and different and represents an opportunity to see what is the best that I can do. The 2017 Worlds was a very special day for me and I often think about it because I want to relive that incredible feeling of fulfillment and joy again, and chasing that feeling is one of my biggest source of inspiration. But “repeating” is not on my mind, because I know that no matter what I do, it will always be different. So as I am flying home this morning, I am feeling a little bit “meh” about my race, but I am also proud and happy. We had a lot of fun in the preparation process and I feel like we learned a ton. Learned about how to race in Europe, and learned more about how to prepare for big events. I’m also happy I got to experience another world championships and share it with some of my favorite people. I’ll finish this off by saying thank you to those wonderful peeps. You all know who you are, so thank you for being there, for helping me be the best I can, for sharing those moments with me, for supporting me... And simply, thank you all for being you, because your presence/support on every single day of the year make everything that much better and so much more worth it! I sure hope #crossiscoming soon, because I already can't wait to give it another shot at next year's Worlds in Denmark. But for now, it’s time to take some time off and eat some good cake...if only I can nail that recipe. Thank you for cheering, everyone! Pre riding on course all week with Katerina was really fun. The conditions were constantly changing. After the last pre-ride. Some of us are more pro than others! Nevertheless, we were both very excited to race the next day. What the course conditions look like. Not exactly easy to navigate on a bike or on foot. The spectators showed great dedication that weekend. Also, those boots were awesome - Quinn model from Bogs Footwear. A sea of spectators. CRAYYYY-Z. 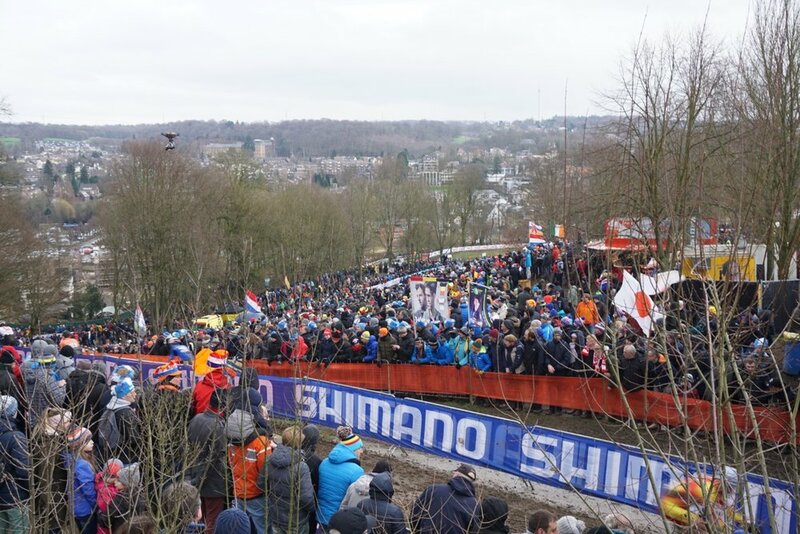 Always mind blowing to see the amount of people attending the Euro cross races. It was fun to get to watch the mens race with friends and family. Teamwork, once again. 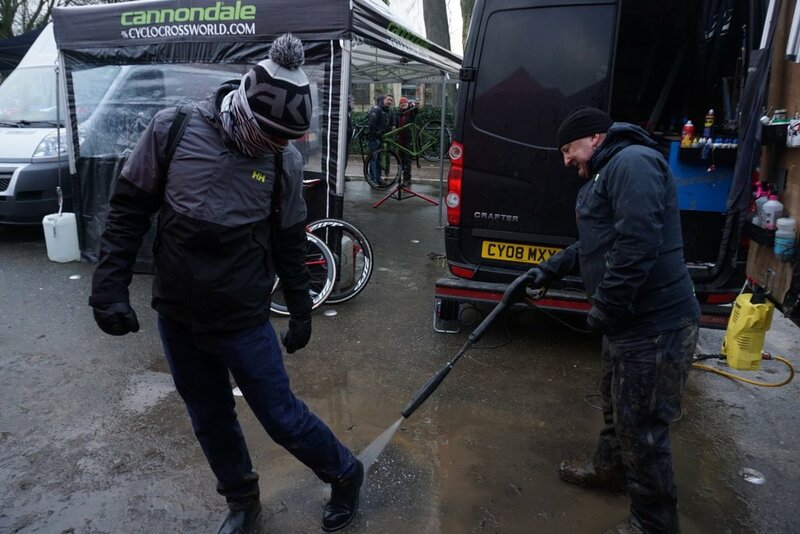 Gary helping us clean up after a good cheering session during the men's race. The day after Worlds. No mater hoe it goes, life goes on and you gotta pack it up. In this sport, nothing is possible alone. From training, to sharing ideas, to prepping bikes, to massage, to grocery, laundry, keeping a chill vibe, sharing your concerns, etc. Here is a team packing session. Thanks to everyone on my big team for making it all so much better. Newer Post"On y est presque. Il reste juste une montée..."